Fluoride treatments are one of the best gifts you can give your kids, and they’re great for cavity-prone adults as well. The American Dental Association released a one-page pamphlet outlining the many reason patients’ smiles benefit from fluoride treatments in addition to daily brushing with fluoride toothpastes, and the ingesting of fluoridated water and other similar nutrients and supplements. At Advanced Dental Care, we recommend fluoride treatments for patients of all ages who struggle to keep their teeth healthy. Fluoride is a mineral that packs a one-two punch against decay-causing bacteria. Not only does it help prevent new caries (cavities), but it can actually help restore damage caused by past decay. 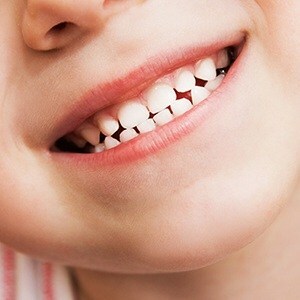 As part of regular preventive dentistry checkups, fluoride treatments help patients of any age fortify their smiles, but these treatments especially benefit children with developing teeth and oral health habits. Why Choose Advanced Dental Care for Fluoride Treatments? Fluoride treatments are one of the most popular preventive care strategies for little ones because they are a quick, painless way to help kids develop strong, healthy smiles that last a lifetime. At any regular dental appointment, our hygienist or dentist can easily paint on a professional fluoride treatment. It takes just a few minutes and helps protects teeth for the months between dental office visits. Fluoride gels come in numerous flavors, but the application process is simple. Smile, and let our team apply the gel. Once the fluoride is applied, refrain from rinsing, eating, or drinking for half an hour to allow the fluoride to work. Depending on the level of oral health risk, we’ll recommend retreatment every 3, 6 or 12 months. For those patients at severe risk for decay, we may encourage additional at-home fluoride treatments. 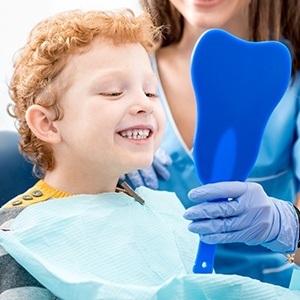 Dr. Jeremy B. Jorgenson and the dedicated Costa Mesa family dentistry team at Advanced Dental Care can’t wait to help you and your family achieve the optimal level of oral health. Contact our team today to find out more about preventive dentistry treatments or schedule your visit.